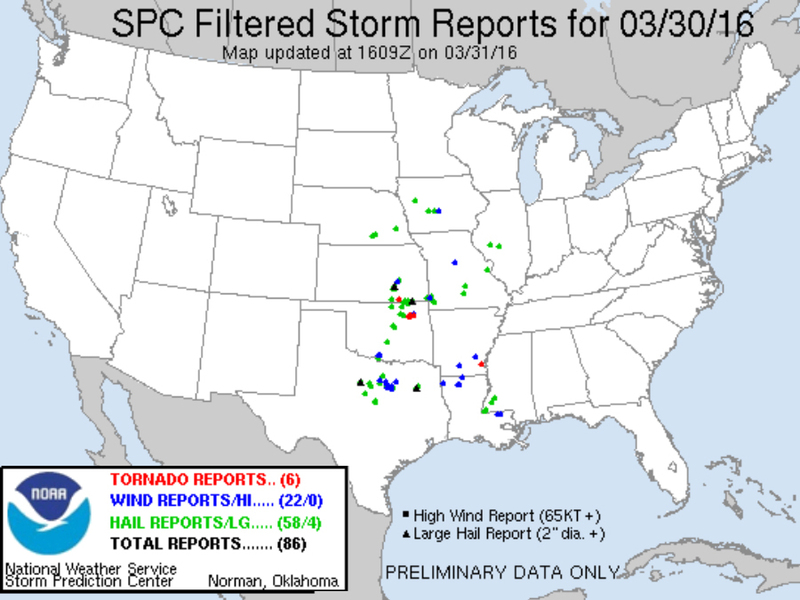 Strong thunderstorms rumbled across the southern Plains and parts of the Midwest on Wednesday evening this week, resulting in a few tornadoes and a number of wind and hail damage reports. The tornadoes outside of Tulsa damaged several structures and homes and left thousands without power. No one died because of the tornado, but some were hospitalized from tornado-related injuries. The same storm system is now moving east toward the Southeast, the Mid-South and the Midwest. 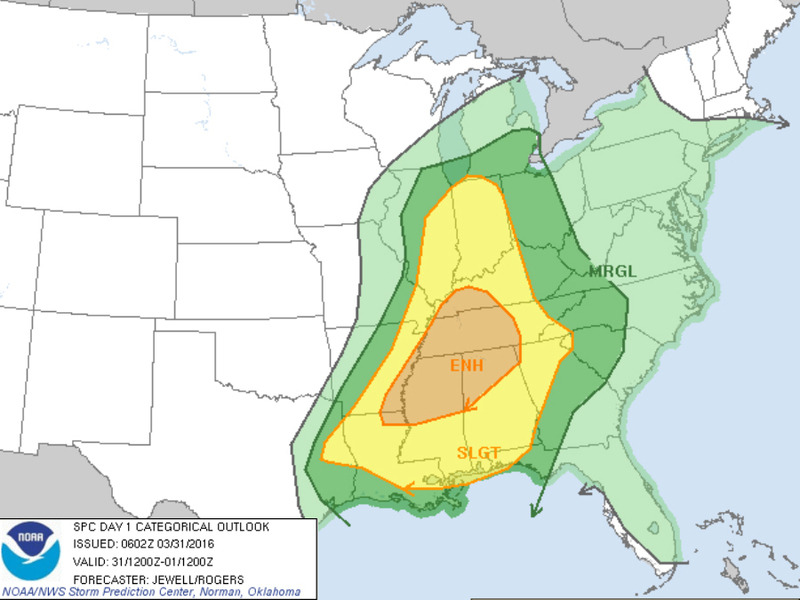 The worst of the severe weather is expected in northern Mississippi, northern Alabama and most of Tennessee. Strong winds, large hail and tornadoes are all possible during today's potential outbreak. The safest place to be during a severe thunderstorm is on the lowest floor in an interior room away from windows.